Are y'all ready to Kick The Dust Up? 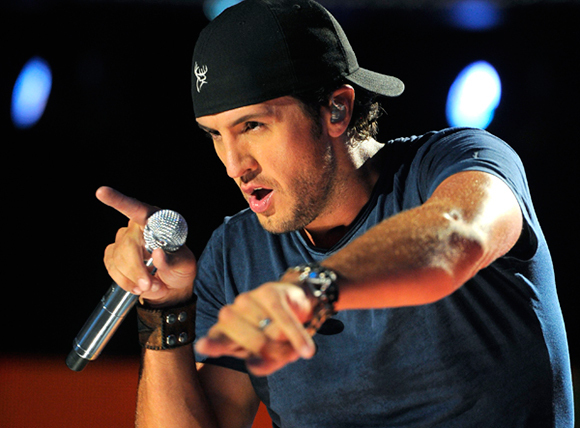 Luke Bryan will play 13 two-night stops and seven stadiums on his extensive 2015 tour! Bryan comes to Pavilion at Montage Mountain on Thursday 30th July, and fellow country favourites Randy Houser & Dustin Lynch are set to crash his party! Book your tickets now – it's gonna be huge! Luke Bryan began his music career in the early 2000′s writing music for other country artists such as Travis Tritt and Billy Currington. In 2007 he released his debut album I’ll Stay Me which included the singles “All My Friends Say”, “We Rode in Trucks” and “Country Man”. His follow up album Doin’ My Thing included the number one song “Rain Is a Good Thing”. He is now an established country pop singer with countless music awards to boast including; CMT Music Awards – Breakthrough Video of the Year, American Country Awards – Single by a Male Artist — “Someone Else Calling You Baby”, American Music Awards- Favorite Male Country Artist Won , Favorite Country Album and many more! Ryan releases his last Spring Break album, Spring Break…Checkin' Out, on March 15, 2015, including six songs from 2014's EP and five original songs.